Enquire today regarding our competitive charges for the UK mainland. When you've found the car you want from our extensive selection, you have a couple of options regarding your purchase. You can arrange to view the car in our private showroom and complete your purchase or you can purchase it from the comfort of your living room and we can drive the car to you (charges dependant on where you are in the UK). The delivered to your door option is available nationwide, and the price includes fuel and labour. Your car will be driven by a friendly whilst professional, mature driver, who is fully insured and tracked throughout the journey. This enables us to pinpoint the exact location of your new purchase at the touch of a button thus giving you a narrow window time frame freeing up more of your time to carry out your daily commitments. Another benefit of this service is you get complete peace of mind, as the car has been driven and not transported, so you know it is 100% reliable. 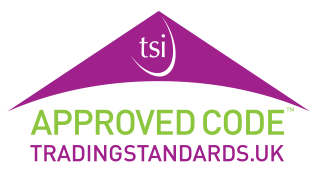 On top of that your purchase is backed by RAC Buysure and Trade Cars 4 U is also a member of the stringently checked CTSI (Chartered Trading Standards Institute). Thanks John for a very seamless exchange of the car. it was an absolute pleasure buying from you and I wish you all the best for your company's future. Should anyone out there be in two minds let me set it straight as the used car I purchased was in mint condition, absolutely spotless and a years Mot to boot! don't hesitate as john is a very likeable and honest dealer.